If there is something you have to do in life, it is Machu Picchu, and if there is something you have to do in Machu Picchu, that is the mountain Huayna Picchu; The popularity of this mountain has grown so much that if you want to get the entrance tickets, you should check the availability a few months before. Many people ask us all kinds of questions about this mountain, among the most frequently asked questions about the Huayna Picchu mountain is the classic, can I tour the mountain Huayna Picchu? Or when to book your tickets? And other questions that we will show you below. We have collected this selection on the fabulous mountain Huayna Picchu, from all the questions that people who travel with us ask us. Remember that the tickets Machu Picchu + Huayna Picchu are very limited. How many people can enter the Huayna Picchu Mountain? The narrow paths and the fact that many parts of the road can only be used by one person at a time, means that only 400 people can travel the Huayna Picchu Mountain every day; This very limited number of incomes causes that the tickets to enter the mountain must be reserved with some months of anticipation; Otherwise, you will have to accommodate the remaining Huayna Picchu tickets; This is not good if you want to be on top of the mountain, when you really want it and not when you find tickets available. 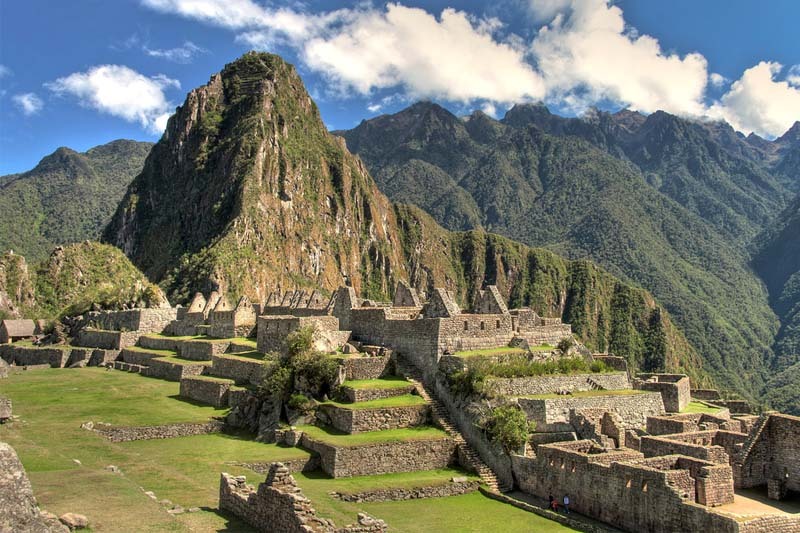 When to reserve the tickets Machu Picchu + Huayna Picchu? All Machu Picchu tickets have to be booked weeks in advance, so you have enough time to book hotels, guides and any experience you wish to have in the city of Cusco; However, the ticket Machu Picchu + Huayna Picchu runs out a long time before, so if you want to book this ticket you should do it 2 months in advance. How long before I have to book Huayna Picchu tickets in high season? The high season occurs between the months of May and September; During this period, all tickets Machu Picchu must be booked months in advance; Especially the ticket Machu Picchu + Huayna Picchu that must be reserved 4 months before, if you want to choose the group (schedule) in which you want to enter the mountain. We are your best option, if you want to secure tickets to Huayna Picchu, in Machu Picchu, just contact us at info@boletomachupicchu.com. Who can climb the Huayna Picchu Mountain? The tickets Machu Picchu + Huayna Picchu can only be purchased for use by people over 12 years of age; And about the age limit, as we can not tell, we have taken people of almost all ages to Huayna Picchu (+ 12) and from this, we have learned that anyone who wants to be on top of Huayna Picchu, can reach Her and that depends more on the desire to be there, than on her physical or her age. What group to choose to climb the mountain Huayna Picchu? Which Huayna Picchu group to choose?, Is one of the most frequent questions we ask about the Huayna Picchu mountain, and what we answer to them, we collect from hundreds of people. Huayna Picchu is beautiful at any time; However, we recommend climbing the Huayna Picchu in the second group. Why? As we know from experience and from references of all the people who have traveled with us, that the best group to ascend the mountain Huayna Picchu is group 2, this because in most cases Machu Picchu dawns foggy, Views of the Inca city from the mountain Huayna Picchu, especially in the rainy season. I’m afraid of heights, can I go up to Huayna Picchu? Not; The Huayna Picchu mountain trails are built between the mountain walls and huge cliffs above the Urubamba River and are visually terrifying. So you will not be able to travel the mountain Huayna Picchu if you are afraid of heights; However, if you manage to overcome your fear of heights, we assure you one of the best experiences of your life. How are the Huayna Picchu mountain trails? As we mentioned before, the Huayna Picchu mountain trails are visually terrifying and have been given case of people who have experienced panic attacks on the mountain tour, especially on the stairs of death. The best way to go hiking the Huayna Picchu mountain is to do it with the right equipment, hiking boots, light and comfortable clothes, and a small backpack that allows you to carry what you want but with your hands free. When is the best time to tour the Huayna Picchu Mountain? Undoubtedly, the best time to visit the Huayna Picchu mountain is during the dry season (April to October); Nevertheless, and although it needed a little more care, the mountain Huayna Picchu in rainy season is more lush and green.